Set up your payment terms in Kashoo to make creating Invoices and Expenses easier. 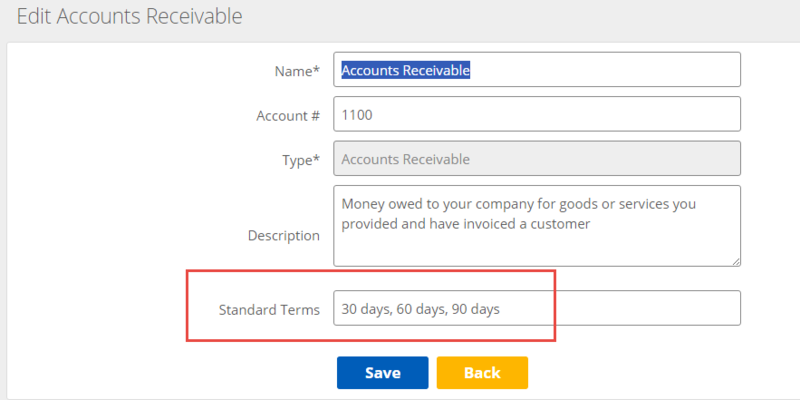 In Kashoo, there are three standard default payment terms offered for Accounts Receivable and Accounts Payable: 30, 60 and 90 days. These terms are used when you offer your customer (or your vendors offers you) a period of time within which to pay an invoice. 2. 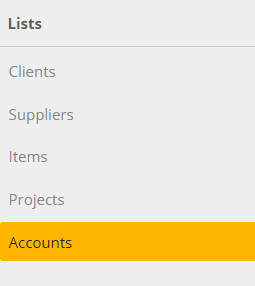 Find Accounts Receivable (for customers) or Accounts Payable (for vendors) and click on it. 3. Change the Standard Terms field to include your new terms (like 45 Days or 15 days) and click on Save. Note: Please make sure to only set up Standard Terms in days only. Using weeks will cause the system to not track the payment terms correctly.